The first “official” day of summer may be June 22nd, but in West Michigan the start of summer really comes after school ends. Then you know a new routine will begin and vacation is ready to begin. The “Muskegon Summer Wine Up” is a brand new festival for adults to celebrate the real start of summer and created and promoted by Cumulus – Radio Muskegon. Our plan is to create the inaugural “Muskegon Summer Wine Down” in beautiful Hackley Park. 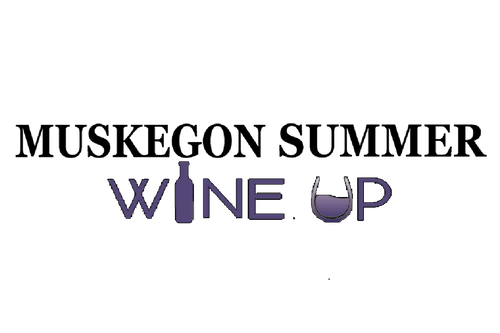 It will be a get together, a celebration, a day of music and fun and a learning opportunity for wine novices and pros alike to try and taste the different varieties of wines created in Michigan, nationally and internationally. You must be 21 to attend this event. All patrons will have to bring identification proving they are 21 or older. Admission will be $15 and include four wine sample tickets. The first 800 patrons will receive a souvenir wine glass to be used for tasting. Glass cleaning stations will be available to clean wine glasses. Each wine sample will be approximately 1.5 ounces. Musical entertainment will be provided but the wine will be the shining star of the day! There will be wine symposiums on a variety of subjects related to wine tasting, wine making and wine pairings. Not only will we have Michigan Wines, but we will also include regional wines and wines from around the country and world to sample. We will offer fun sampling opportunities and even some blind taste testing as part of the fun. We are working with Parties in the Park to promote the Muskegon Summer Wine Up. .
We will also include sparkling wines and seltzers. We are working with Parties in the Park to select a charity to serve the wines. We will be working with participating wineries and our distributor Alliance Beverage Distributing to organize seminars.